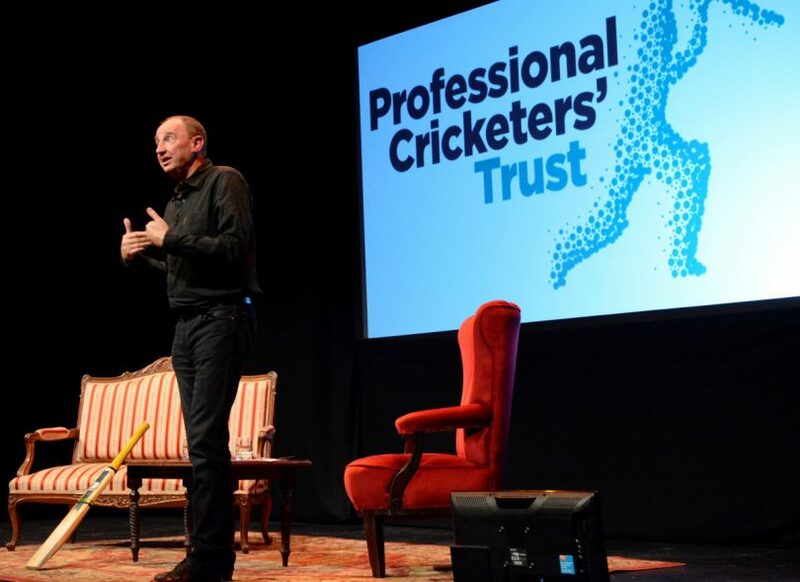 Jonathan Agnew MBE, a key figure in the world of cricket both as a former professional cricket player and world-renowned commentator on the game, is heading to Theatre Severn with his successful Evening With Aggers show. Following on from his first ever solo tour in Autumn 2018 he is embarking on a new Spring tour and will arrive in Shrewsbury on Sunday 7 April. Described as a ‘master broadcaster,’ his consummate skills on air have proved electric on stage in previous Evenings With Aggers alongside his prickly commentating partner Geoffrey Boycott, spin legend Graeme Swann, Indian’s ‘Little Master’ Sunil Gavaskar, bad boy of English cricket Phil Tufnell and the gloriously eccentric David ‘Bumble’ Lloyd. Agnew takes the audience on a trip down memory lane, waxing lyrical about his extensive and entertaining career on the cricket pitch, as well as his many years on TV screens and radio stations around the world. As a commentator and broadcaster on the BBC’s Test Match Special slot, A View From The Boundary, he has interviewed many a star of stage, screen and elsewhere, including two prime ministers, several rock stars, film legends, writers, comedians and a boy wizard! The shows are also raising money for the Professional Cricketers’ Trust (PCT) formerly known as the Professional Cricketers’ Benevolent Fund, a fantastic charity supporting past and current players and their dependents during times of illness or hardship.